KUALA LUMPUR, 12 April 2018 – Canon Marketing (Malaysia) Sdn Bhd introduced four new models in its PIXMA Ink Efficient G Series printer line-up for personal, home and small office users looking for affordable and reliable high-performance printers that are also low cost per print. The compact design of the new range is built with space saving functionality in mind, making it a convenient and ideal choice for smaller work areas. The G1010, G2010, G3010, and G4010 follows the same integrated-in-body refillable ink tank design popularised by previous G series models and features improved printer durability that allows high volume printing businesses to enjoy reduced downtime. Selected models also include enhanced wireless setup with mobile application compatibility for ease of use. Beyond its key feature of high-volume productivity, the improved colour image quality in the new models bring out the best in documents and images, delivering sharper text and vibrant colours, making for brilliant photographs. Andrew Koh, President and CEO of Canon Marketing (Malaysia) Sdn. Bhd. said that the brand works hard to not just meet but surpass customers' needs by constantly innovating its imaging solutions offering that aims to enhance customer's productivity and quality of work. "Canon has led the Malaysian market of inkjet printers for the last two decades which reflects the trust customers have in our products. We are thankful to the support from our customers, dealers and distributors in recognising the value and quality of Canon products and we are steadfast in our commitment to continue strengthening our offerings with the latest technology advancements available for better printing experience," he said. 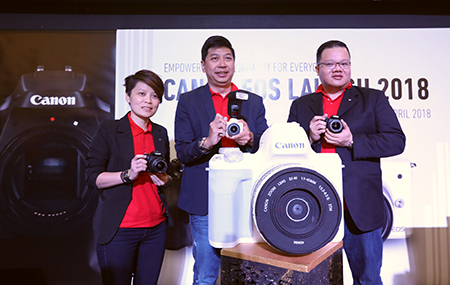 Sandy Lee, Head of Consumer System Products Division of Canon Marketing Malaysia, remarked that Canon was focused in fulfilling the needs of customers who value cost-efficiency and reliability through the introduction of the four new PIXMA G Series printers. "The new additions enable customers, from home users to small offices, to acquire superior quality printing while managing affordability especially for their high-volume output. With a bundled set of four ink bottles, the printers can deliver up to 6,000 black-and-white document pages and 7,000 colour document pages, which can greatly help businesses manage cost and efficiency," said Lee. Lee also added that printers are user-friendly with improved connectivity and are able to produce excellent quality images including borderless A4 size photos. "The combined features of the new PIXMA G Series models allow customers the flexibility to enjoy a wider range of possibilities for their printing needs easily at their fingertips," she said. PIXMA Ink Efficient G4010: The powerhouse of the G series, this wireless multifunction machine combines print, copy, scan and fax functions in a compact body. A 20-sheet Auto Document Feeder automates batch scan jobs easily, while a two-line LCD display simplifies common copy and scan functions. 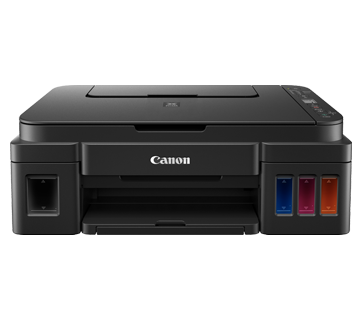 The printer supports Wi-Fi and can also be operated easily using the Canon Print Inkjet / SELPHY print and scan application. PIXMA Ink Efficient G3010: The ideal printer for homes and small businesses. This multifunction printer copies, prints from, and scans easily to mobile phones, tablets and laptops over Wi-Fi. A 1.2 inch segment LCD display delivers on the basics such as making multiple document copies easy, and also enhances ease of use for a variety of printer configuration options without a PC, including Wi-Fi Setup. The printer also supports direct wireless connection to mobile devices and tablets without a router. PIXMA Ink Efficient G2010: Delivers high volume printing needs for users of connected PCs. A 1.2 inch segment LCD panel, similar to that on the G3010, makes it easy to execute multiple copy or scan jobs. PIXMA Ink Efficient G1010: For users and businesses with high volume printing needs, the G1010 is the ultimate low-cost solution. Crisp text and solid colours show up in every document printout, and photos printed with the G1010 display bright and vivid colours every time. 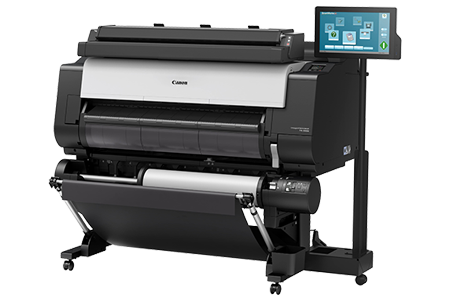 The Canon Ink Efficient G Series fuels the needs of businesses with high print volume demands with the ability to deliver up to 6,000 black-and-white document pages and 7,000 colour document pages on the bundled set of four ink bottles. Without the need to replace ink cartridges, businesses can reduce costs on ink supplies while spending less time on device maintenance. The printers are also capable of printing beautiful high quality 4R photos in just 60 seconds, and support full borderless photo output on glossy media up to A4 sizes. Instead of having ink tanks hanging beside the printer chassis, as is common with many continuous ink tank systems, G Series ink tanks are integrated into the printer body. The G series printer has an impressive small footprint, and each tank is designed to allow visual identification of remaining ink levels easily. The PIXMA Ink Efficient G4010 and G3010 combine the advantages of wireless *1 connectivity with printing from mobile devices such as phones and entertainment tablets. 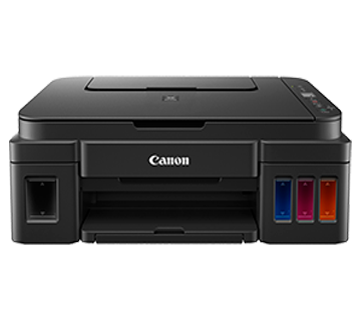 The Canon Print Inkjet / SELPHY app makes mobile printing, scanning easy for iOS and Android OS devices, while the Canon Print Service plugin offers driverless printing functionality for phones and tablets running on Android OS. The G4010 also supports AirPrint. 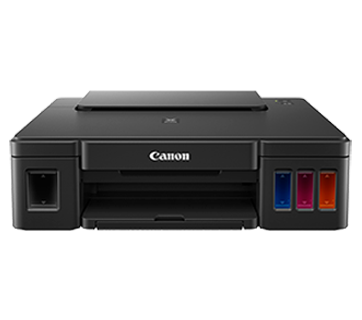 The Canon Print Inkjet / SELPHY app also connects to social networks such as Facebook and Instagram, or file storage services such as Dropbox and Google Drive via the Canon PIXMA Cloud Link service. Documents and photos can be printed from these cloud services. It takes just a few simple steps to create the perfect poster with Canon’s PosterArtist Lite. Whether it’s a concert handbill or corporate announcement, the software makes it easy to design and print professional-looking posters and signs quickly, thanks to over 1,300 free-to-access templates, photos and clip art. PosterArtist Lite can be downloaded from the Canon website at www.canon-asia.com. Imagine a birthday greeting popping out from a snapshot of someone blowing out their birthday candles, or a photo postcard of a concert that leads you to a video of the actual performance. Canon’s Message in Print app makes special moments come alive by creating personalised messages with animations or web links embedded into photos. Unlock the surprise by viewing the image via the app and bring your image to life. *2 This app is only available on the App store for iOS devices. *3 Prices are estimated retail prices and are subject to change at any time without notice. Actual pricing is set by individual dealers and may vary.